Purpose: Hepatocyte Growth Factor (HGF) is a potent angiogenic factor; preoperative blood levels have been shown to correlate with disease stage and prognosis in colorectal cancer (CRC) patients. In addition, some CRC’s express HGF receptor which suggests HGF might directly stimulate tumor growth. 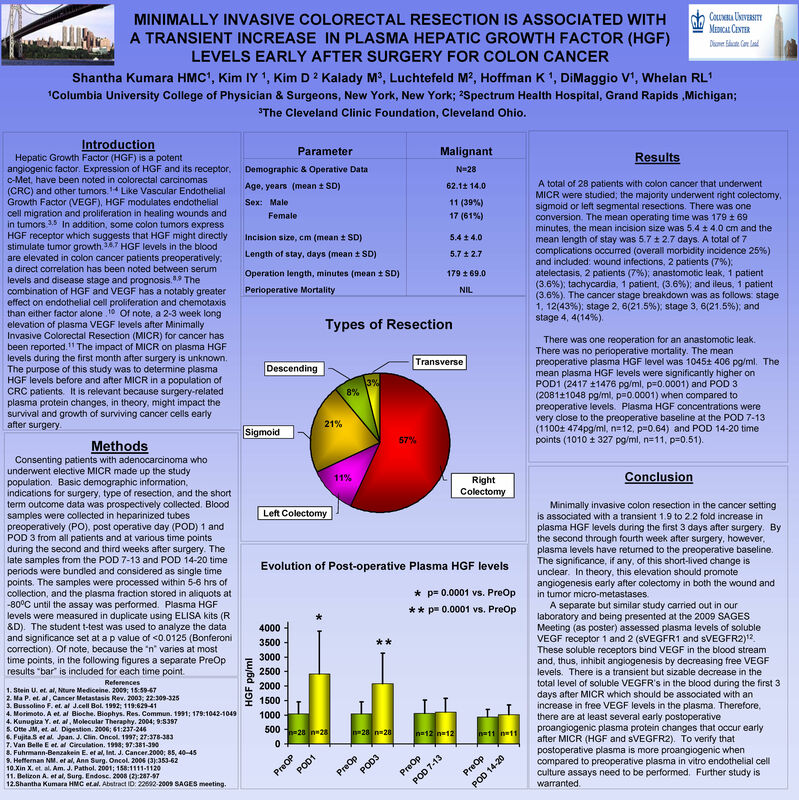 The impact of minimally invasive colorectal resection (MICR) on plasma HGF levels during the first month after surgery is unknown. The purpose of this study was to determine plasma HGF levels after MICR in a population of CRC patients.